Reading weather related articles stating that our summer this year will be a wash out as we are set to be battered with rain and gales is a tad disappointing to say the least. The need for some Vitamin D is great, especially coming from Manchester where we expect rain every day! 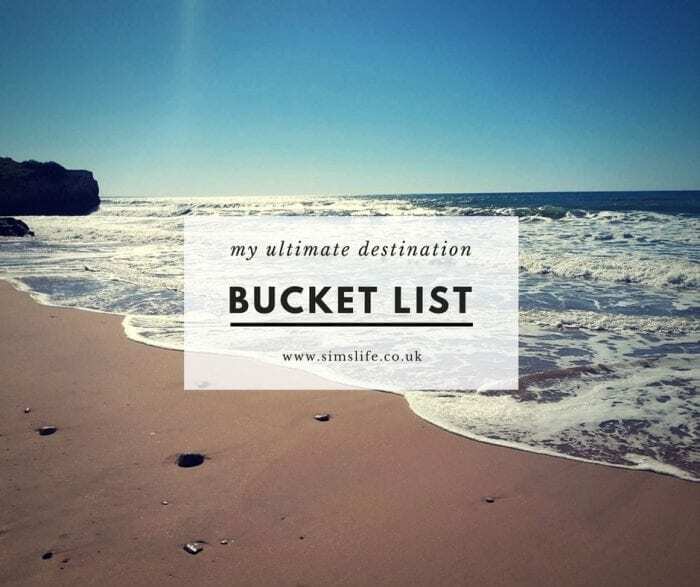 If I had my choice and an endless pot of money, I would be travelling forever as my bucket list in endless! I seem to add to it each time I check Instagram as there are a zillion gorgeous travel inspired images of far flung places I have yet to visit. Cuba – Vibrant, colourful and full of life, I would absolutely love to visit Cuba and fully immerse myself in the culture. Cuba is all about the music, passion and flair and is definitely my type of place. A destination that is very much at the top of my list and I am insanely jealous of listening to experiences of Cuba holidays, but hopefully it will be my time soon! Italy (Amalfi Coast) – I left a piece of my heart at the Amalfi Coast when I visited Italy as a teenager. If you have never visited then you are missing out on one of the most beautiful sections of coastline in the world. If you have visited, then you will understand why I would love to live there one day. Life is so relaxed on the Amalfi Coast and the scent of lemons and citrus fruit fills the air. I had a chat with a friend about her destination bucket list and she stated that she would love to visit the Grand Canyon at some point. I’ve suggested that she has to do the trip via helicopter to fully enjoy the experience and even have a picnic upon landing in the Grand Canyon. It appears her husband has a recurring dream of crashing into the Canyon so I’ve suggested he either stay at home or catch the bus to the Canyon. Personally, after visiting myself I would highly recommend a helicopter visit as opposed to the coach as the Canyon is enormous and so pretty to view from the air. After visiting Portugal this year, my love of the Algarve has been renewed and a trip back to Albufeira is on the cards at some point. Mini Me absolutely loved it and I currently have a friend over there so cannot wait to see her pictures when she returns. Alas, none of my bucket list destinations are somewhere I am visiting this summer, but hopefully it’s something to look forward to for next summer. Do you have any off the beaten track destinations on your bucket list? We go to Gale by Albufeira every year..just so lovely Cuba sounds AMAZING!